A picture of the Rev. 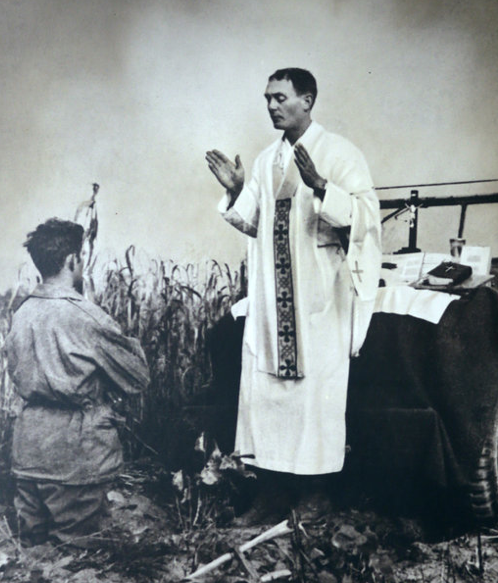 Emil J. Kapaun that hangs in the school named in his honor shows him using the hood of his jeep as an altar as his assistant, Patrick J. Schuler, knelt in prayer in Korea. The picture was taken on Oct. 7, 1950, by Col. Raymond A. Skeehan. The New York Times religion section has a wonderful story about Fr. Emil Kapaun today. He was both secular hero, given the Medal of Honor by President Obama, and will likely (in my opinion) be declared a saint by the Catholic Church for, literally, giving of his life to help his fellow prisoners during the Korean War. My children went to Kapaun High School. The memorial to Fr. Kapaun in the school's rotunda is simultaneously uplifting and sobering. One wonders how he could physically do everything he did in the prison camp. Clearly, God was with him. Hat tip: Roy Wenzl of the Wichita Eagle who has done outstanding work in reporting the story of Fr. Kapaun's life. There are many more stories about Fr. Kapaun here. Fifteen percent is the significant threshold. 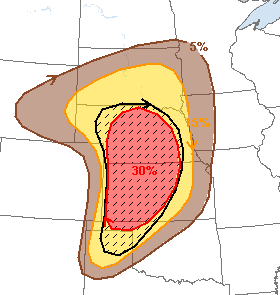 This is where damaging winds of 60 mph or more are forecast to occur along with large hail. Again, the significant threshold is 15%. The hatched area is where hail 2" in diameter and wind gusts of 75 mph are possible. More severe thunderstorms are forecast next week. Stay tuned. There are few things that bring more pleasure than a great book. This is especially true when on vacation. So, get Dad a book with an uplifting, true story that he'll love wherever he happens to be. Recently, there have been a number of articles about the rapidly diminishing rate of formation of new businesses in the U.S. I guess because I have been a successful entrepreneur, I have been asked, several times, about this. While I don't consider myself an expert in business, I agree with expert David Mitchell's comments. 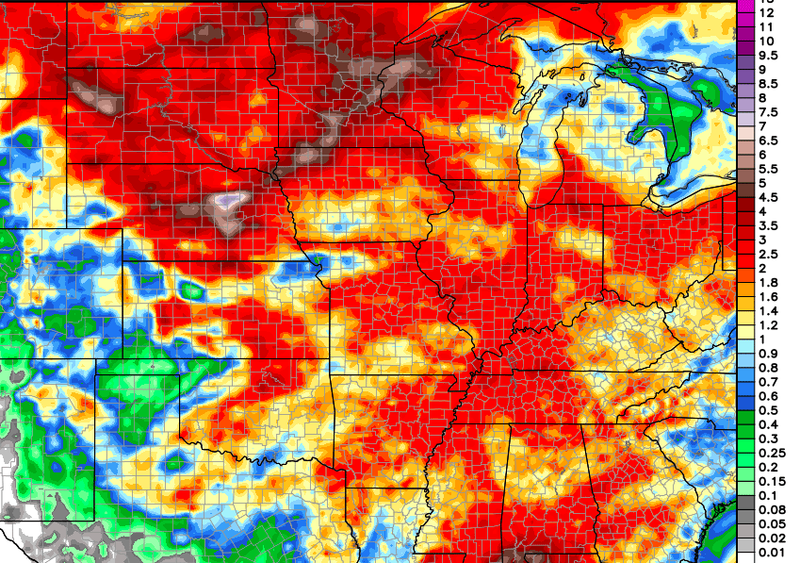 It is my opinion the wet pattern for the central Plains will continue to at least the 15th of June, a few days beyond the European map. 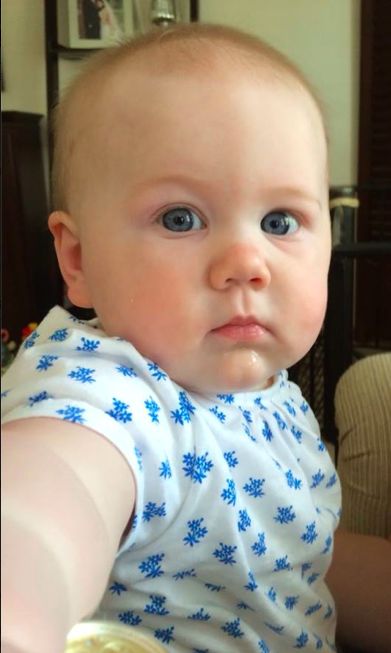 Forecaster Evie has been diligently studying the latest weather information and soil saturation data and wants to let you know that she is very concerned about severe thunderstorms (tornado, large hail, damaging straight-line winds) and flooding developing next week, especially in the central third of the U.S. It has been a mild spring weather-wise, so don't be lulled into complacency. Evie, assistant forecaster Elmo, and I will be keeping an eye on things and will provide plenty of updates here on the blog. 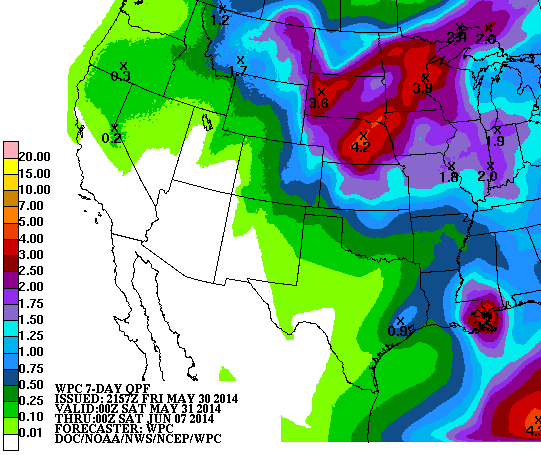 Seven day forecast rainfall. 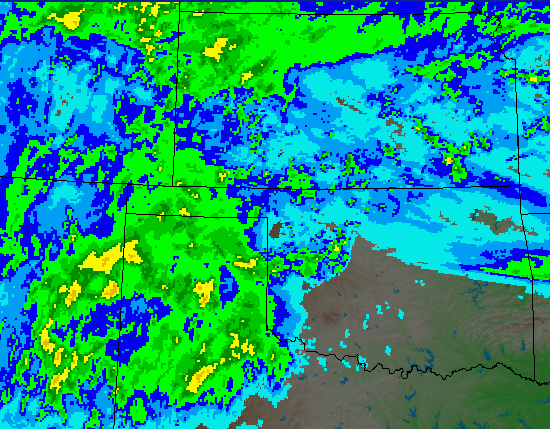 South and west of the Missouri River, most of the rain is needed and helpful. To the east? Not so much. They are called "sun" kinks for a reason. It is the sun that excessively heats the rails more than just the temperatures. green monsters from outer space. 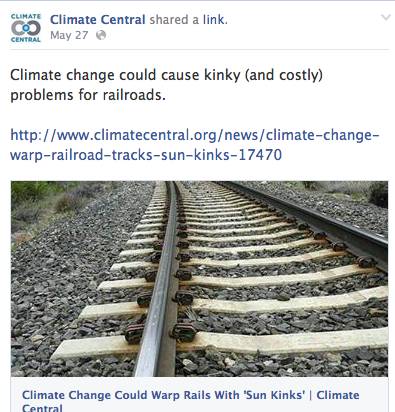 Over on Facebook, I heard from a climate scientist who questioned whether the sun could heat exposed metal rails to a higher temperature than the air temperature. The answer is absolutely, yes! 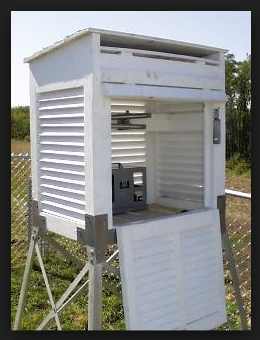 Because meteorologists want to measure the temperature of the air, official thermometers are sheltered from the sun by putting them into louvered boxes painted white. An example is below. Otherwise, the thermometer would be measuring the radiant heat of the sun rather than the temperature of the air. I suspect that Climate Central, like our climatologist friend and so many other climatologists, don't know the basics of meteorology which is why so many incorrect statements are made. Jullianne and Derek Hough opened their national tour in Wichita yesterday evening and it was great fun. The show is Vegas-y in a good way. Well produced and executed with plenty of audience interaction. My only complaint is the mildly risqué jokes between the two stars seem awkward when done by brother and sister. I see that most of the upcoming shows are sold out, but if you do not have your tickets yet, I have a couple of recommendations. Get tickets on the floor (they go into the audience) or in elevated seats farther back in the center. We were off to the side and, while we had a great view, a number of the "bits" were hard to see from the side. Do not sit in the first 2 to three rows. Their stage is higher than some and I imagine it would be uncomfortable to see the entire stage. I give MOVE 4.5 stars. Global Warming: Is There Anything It Can't Do?!?! Yes, this story is real. Of course, we know that Democrats in the U.S. House blame global warming for prostitution. I wonder, when Al and Tipper broke up, if Al tried to rationalize his infidelity by telling Tipper, "global warming made me to it."? Watch the entire video, first…I'll wait. The lightning struck him and the pavement. You can see pieces of pavement and dust launched by the force of the lightning bolt. The lightning disabled his car's electronics. From the video, it appears to me the bolt came from the thunderstorm's anvil (interesting explanation here) away from where the rain was falling. Sunday, I was in my backyard photographing thunderclouds and I heard the familiar "zip" sound of "anvil crawler" lightning overhead. 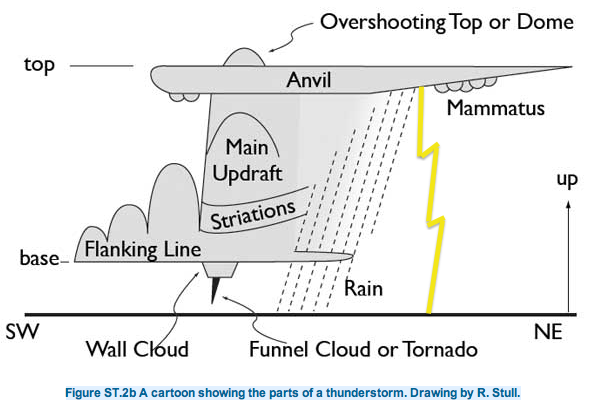 While most anvil crawlers are horizontal (see below), they sometime induce cloud to ground lightning and they are nearly impossible to see in full daylight. I walked very quickly back into the house because it is not safe to be under anvil crawlers. 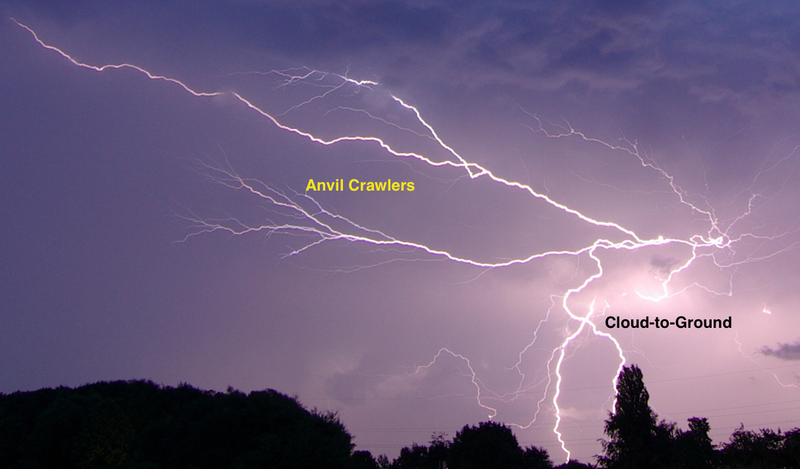 An example of a cloud-to-ground bolt induced by an anvil crawler is below. The rule is, "if thunder roars go indoors." I would add if you hear a sound like "zipping" overhead, go indoors also! Tornado Approaching? What to Do? Many people have sent this video from Monday in North Dakota where a tornado struck a "man camp" -- a compound of mobile homes used by oil workers. There was no tornado shelter. There was no tornado shelter. A new model pickup truck (with airbags) is safer than a mobile home. Both can roll but a pickup has no refrigerators, sofas, etc. to fall on top of you. It is rural area with no traffic, so a reasonable escape speed could be attained relative to the speed of the tornado. Important note: I would not recommend fleeing in every instance. But, since I was asked what I would do in this situation, that is my suggestion. 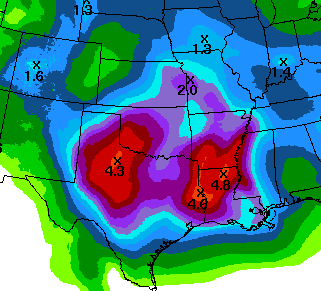 The slow moving low pressure system that brought the needed rains (below) to the drought region is expected to bring as much as seven additional inches to Louisiana. 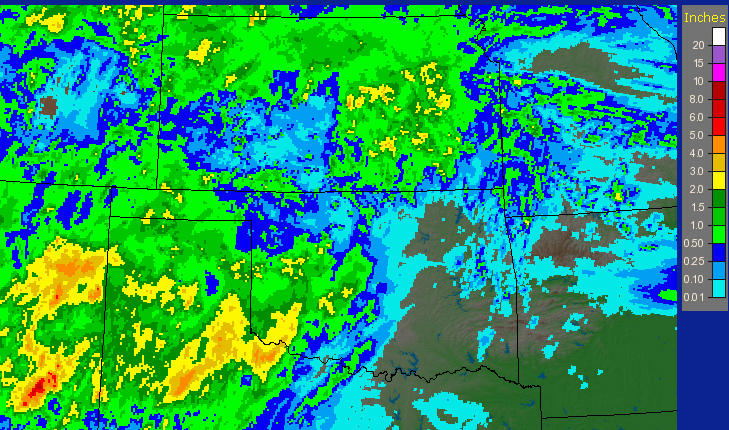 The weather pattern is shifting to one of thunderstorms in the northern Plains this weekend and the first of the week. 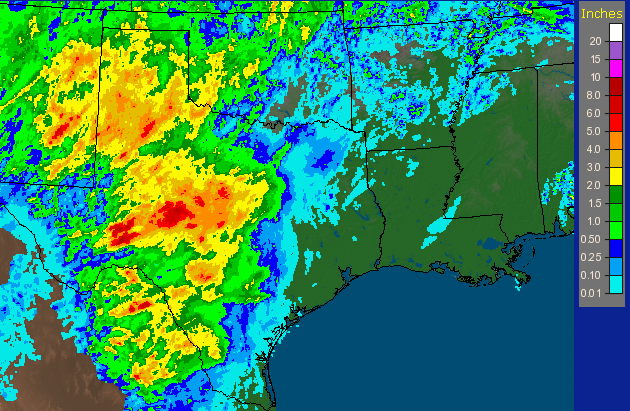 Below is the observed rainfall for the past seven days. 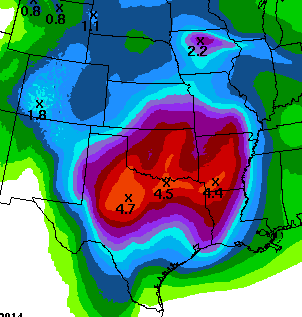 While more rain is needed in most areas, this is the first significant relief in months. 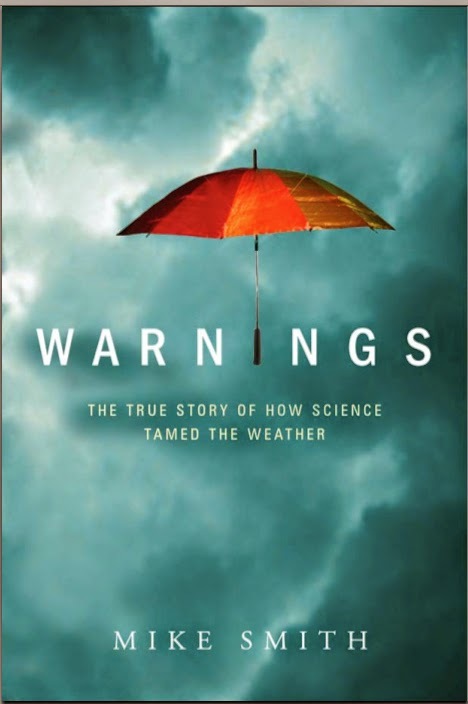 While an accomplished forecaster who correctly forecast some of this spring's tornadoes, she wants to read about heroic meteorologists who have saved tens of thousands of lives by creating America's unique storm warning system. 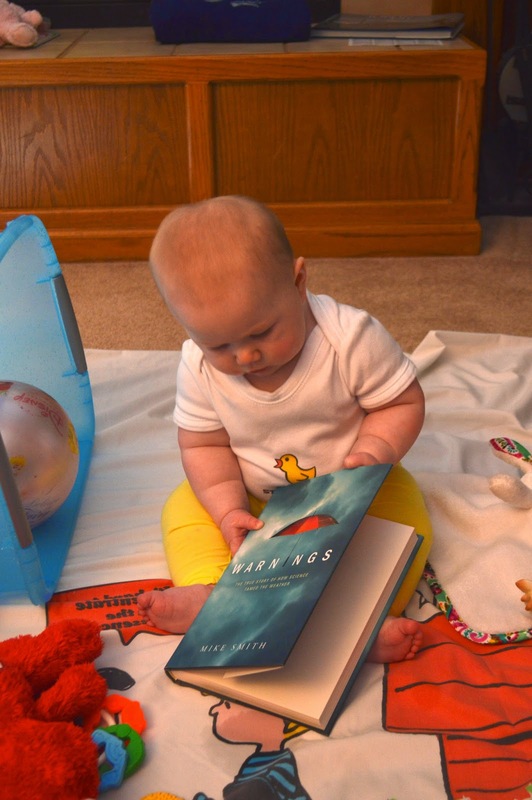 It is uplifting, fascinating reading -- Evie wouldn't bother with anything else! You can get your copy here. Since posting an item on Facebook about Secretary of State John Kerry and the French President's claim that we only have 500 days left until the climate apparently goes Ka-Blooey (actually we are now down to 482 days, 12 hours, and 30 minutes) a number of you have written asking if I could put a countdown clock on the blog. Just want to let you know I am looking into it. Meanwhile, you might want to stock up on popcorn and your favorite beverage as 2015's crop will not be in before September 21, 2015, the "climate chaos" (their words) caused by global warming day. It should be fun to watch! The U.S. is trillions of dollars in debt and we are spending money on this? 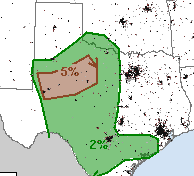 Five percent is the significant threshold and it includes the DFW Metroplex, Austin and San Antonio. Keep up on the weather in these areas today. We've covered this topic one other time but a comment made on the air last week makes me think it is important to mention it again. Two yellow lines represent the radar beam -- where the radar is sensing the tornado. 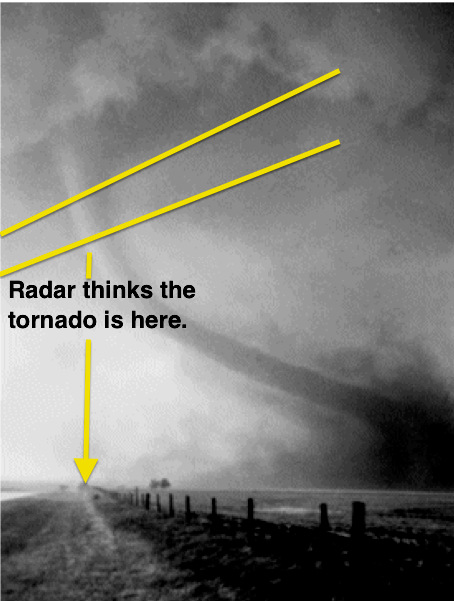 We often see "street-level" radar displaying tornado locations. When close to the radar (within about 15 miles) with the radar being operated properly, they are reasonably (not precisely) accurate. However, at any significant distance, it is invalid to try to get the location down to a couple of blocks. Tornadoes are often not completely vertical nor is the earth's surface straight. The earth curves out from under the radar's beam so that when it is 120 miles away, the beam is about 10,000 ft. above the ground. At that distance, the tornadoes ground location may be a few miles from where the radar is sensing it. 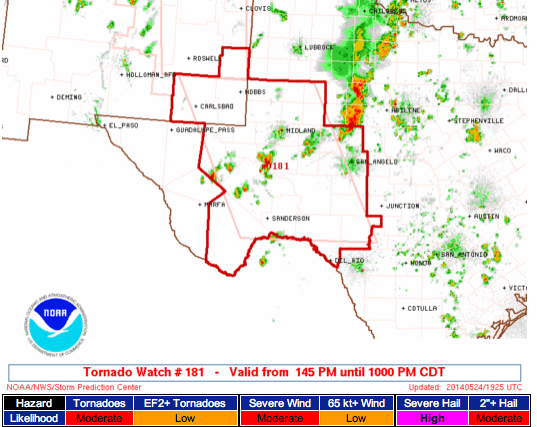 To viewers: do not rely too precisely on television radar displays for tornado locations. 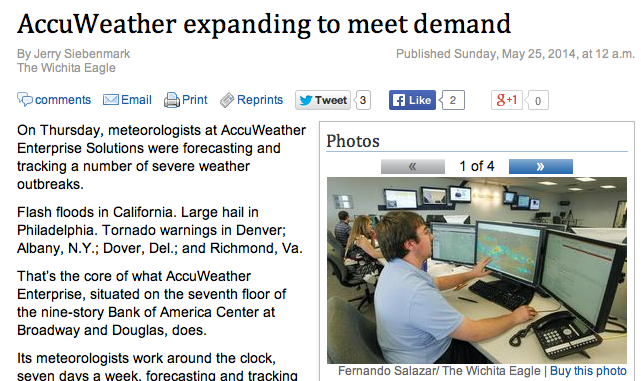 Television meteorologists: do not try to do more with your radar than it is capable of. Yes, we are tipsy from tipping points. 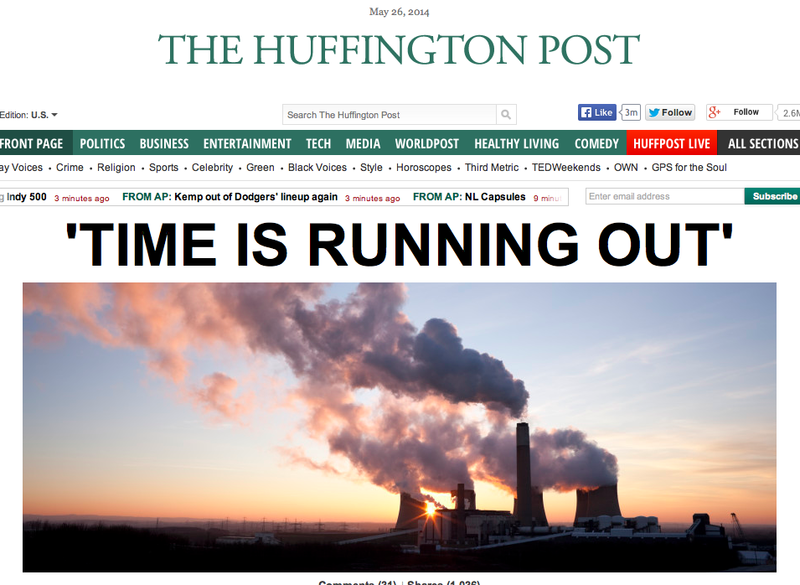 "Time is running out," WMO Secretary-General Michel Jarraud said in a statement. "This should serve as yet another wake-up call about the constantly rising levels of greenhouse gases which are driving climate change. If we are to preserve our planet for future generations, we need urgent action to curb new emissions of these heat-trapping gases." Almost 200 governments have agreed to work out a deal by the end of 2015 to slow climate change as part of efforts to limit the average temperature increase to two degrees Celsius (3.6 degrees Fahrenheit) above pre-industrial times. Temperatures have already risen about 0.8C (1.4F). "Temperatures have already risen about 0.8°C" -- as if that is a bad thing. If temperatures had not risen we would never have been able to feed the world's current population. Mass starvation would have resulted. In addition to its scientific obtuseness, Big Climate refuses to even discuss all of the good things warmer temperatures and more CO2 have brought and will bring. Even greater crop yields, less energy use for heating, fewer deaths (far more people die from cold than heat), etc., etc. Again: Global warming is not "no" problem. But, it has benefits and it is not the unmitigated catastrophe that Big Climate would have you believe. After all, if it is not a catastrophe their dollars stop flowing. Climate Science Starting to Come Around? Maybe, but it is very, very slow. Clearly, the "raise carbon dioxide and the atmosphere warms correspondingly" hypothesis is completely falsified by 17 years of no warming while CO2 continued its rise. It would be great for science, and even for policy, if climate scientists would stop focusing solely on CO2-forced climate change, and look at natural internal variability and how this interacts with external forcing – both slow (e.g. solar or CO2) and fast (e.g. volcanoes). The big issue of scientific interest (not to mention policy relevance) is abrupt climate change. I don’t really regard the climate shifts of 1976 and 2001 to be ‘abrupt climate change’, although by some definitions these qualify. These climate shifts are certainly of great interest and significance in and of themselves, and there are some hypotheses on the table regarding how to predict the next shift (e.g. stadium wave). The science of climate change on decadal to century timescales most definitely is not settled, in spite of the IPCC’s highly confident proclamations. There are so many interesting and unsolved issues in climate dynamics. At this point, climate science seems relatively irrelevant for energy policies – the goals of carbon mitigation are in place, and whether anything meaningful can be achieved in the near term is doubtful. However, climate scientists are (in the words of Pointman) in a hurry towards some finishing line only they could see, and acted accordingly. I suspect that the IPCC becoming less and less relevant to the UNFCCC agenda. I’m hoping that at some point soon, climate scientists will get fed up with trying to play politics with their science and get back to researching and debating these fundamentally interesting and unsolved issues in the science of climate dynamics, rather than attacking their colleagues for suggesting that there are other ways of thinking about climate change. The bold-type emphasis is mine. Yes, it is long past time for climate 'science' to get out of politics and revisit the basics of climate, especially volcanoes and, most especially, solar. 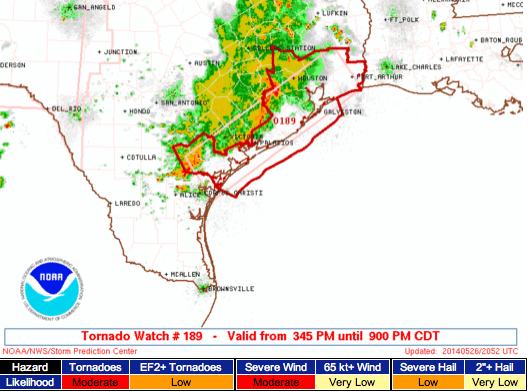 The five percent area is the significant threshold for tornadoes. 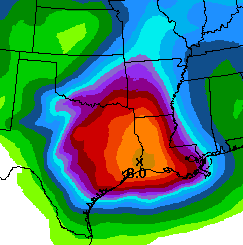 Over the next seven days, as much as 8 inches of rain are forecast to fall in southeast Texas and southwest Louisiana. This area is not in a drought and it may cause flooding. UPDATE: 6:41PM: These weakened before they reached our home. Only 0.10 inches. Still, we've done very well since Thursday. Storm total: 2.49 inches. 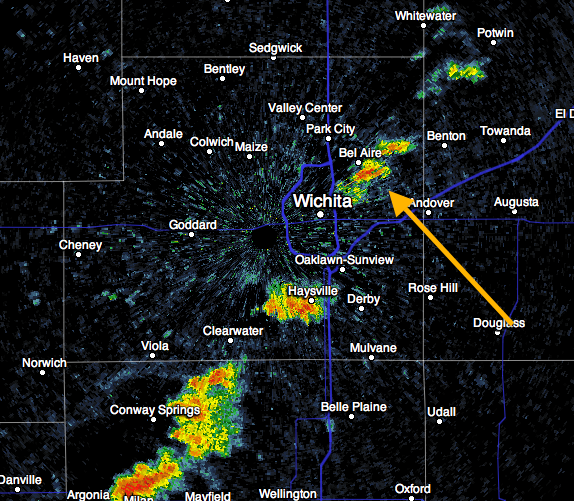 Visually, about ten minutes ago, I could see two thunderstorms to my southwest. 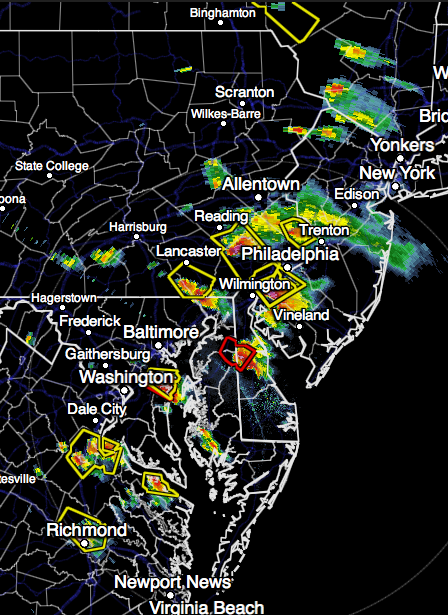 I turned the radar upside down so you could more readily compare the closer (yellow) and farther (orange) storms. I've never seen a cloud arch before. From my location it appeared to be continuous cloud for the entire 180 degrees. 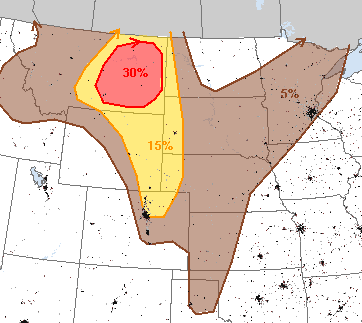 Note the potential for large hail is "high" and ≥2" is "moderate." Even if you don't get a tornado, the possibility of 60 mph or higher winds is moderate. Put your car in the garage, bring in trampolines and lawn furniture and other things that might blow around. Each Memorial Day Weekend Fox News Sunday features "Bugles Across America." 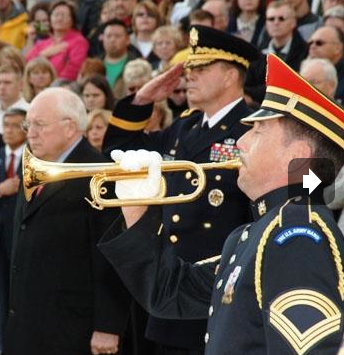 It is a volunteer organization that makes up for the shortage of military buglers and attempts to insure that every military funeral has live Taps. You can learn more about them here. God bless every member of the U.S. military, past and present, this Memorial Day weekend. 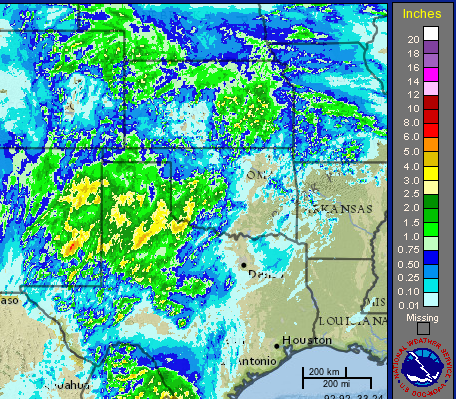 Here is an estimate of rainfall since the drought-easing system moved in. Shower brought us 0.63 inches in less than 45 minutes. Absolutely pouring at The Smith House. The tiny, but strong, radar echo bringing the rain. Watch out until 9pm Mountain time. 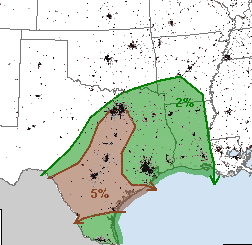 This map shows the tornado potential with 5% the significant threshold. 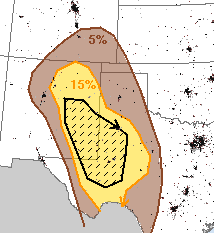 This is the probability of 1" or larger hail. The hatched area is where hail 2" or larger may fall. Recommend putting your car in the garage if thunderstorms approach. I will be doing periodic severe weather updates this holiday weekend. The above is rainfall of the last four days. The Smith House had a whopping 2.60 which doubled the amount of rain we have had in 2014. This is a graph of the percentage of the world in drought since 1982. Note that it is not increasing as Big Climate contends. 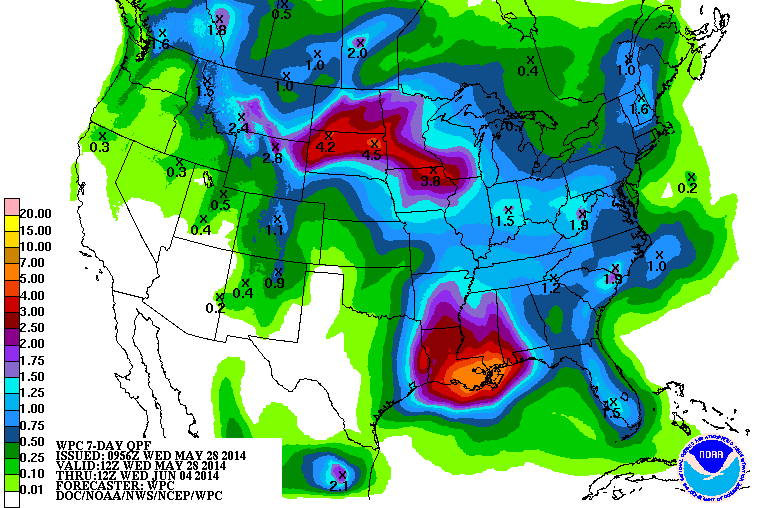 And, in another week, the percentage will be lower due to the generous rains in the central United States. The memo says the data disruption was triggered by an upgrade to the weather data dissemination system itself, specifically a modification to a network firewall. The firewall was supposed to continue to allow data to pass through it, but "within minutes, engineers noticed that data were not traversing the firewall." 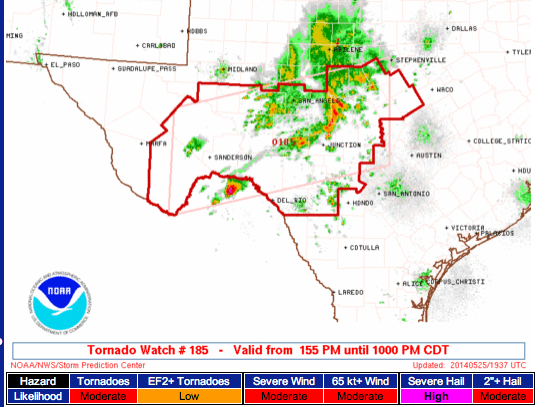 The memo claims all warnings did reach the public despite the loss of the main automated delivery system, which is a questionable claim considering that many storm chasers, television meteorologists, online news sites and others in the weather community reported disruptions in crucial radar data and severe weather warnings on Thursday. The outage, which the NWS now says lasted from 3:49 to 4:25 p.m. ET on Thursday (although the system was not declared fully operational until 4:37 p.m. 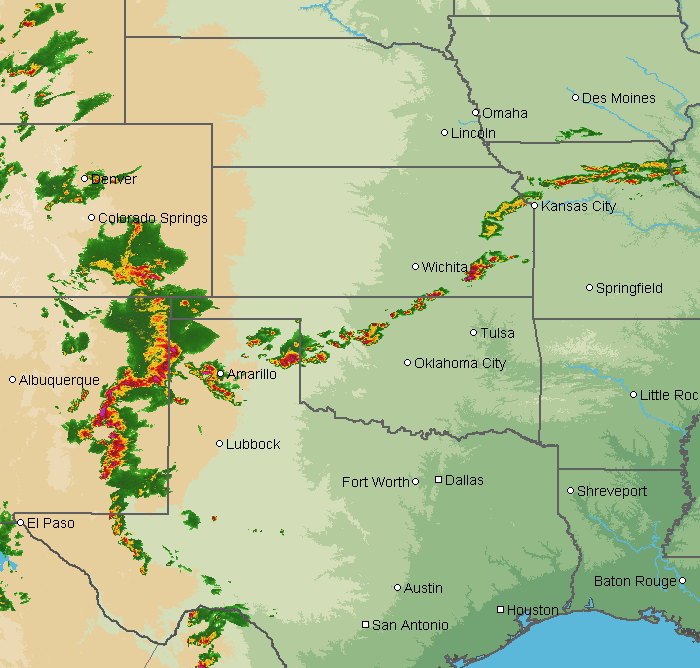 ET), occurred as severe thunderstorms erupted from the Denver metro area eastward to the Mid-Atlantic. A tornado warning was issued at one point for downtown Denver, and one strong tornado touched down near Albany, New York. Another weaker twister struck in Delaware around the time of the outage. 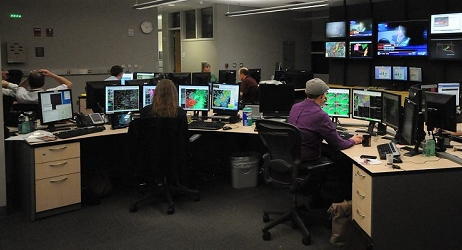 All of the clients of AccuWeather Enterprise Solutions received 100% of their warnings, radar and other products -- we were completely unaffected. In other words, the agency is going after anyone who is outside the agency who may have released information about the outage that they learned via the NWS chat system. I guess we taxpayers are not entitled to learn why NWS systems have failed -- twice -- during tornado situations the last 30 days. It appears that the NWS has learned nothing since the self-inflicted battering of its reputation during the Hurricane Sandy assessment. Those actions brought widespread derision to the agency. Here is one of the many examples. 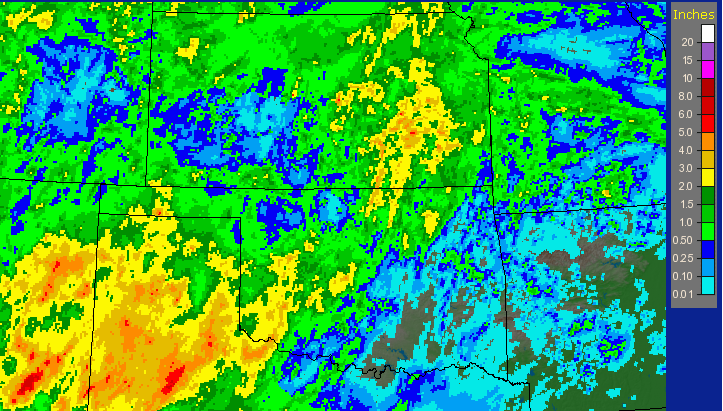 Here is the actual rainfall for the last 7 days, most all of which has fallen in the last three. 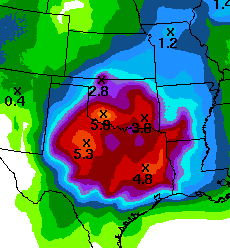 While this will not break the drought, it will ease it in many areas. Stunning -- Stunning -- Stunning! 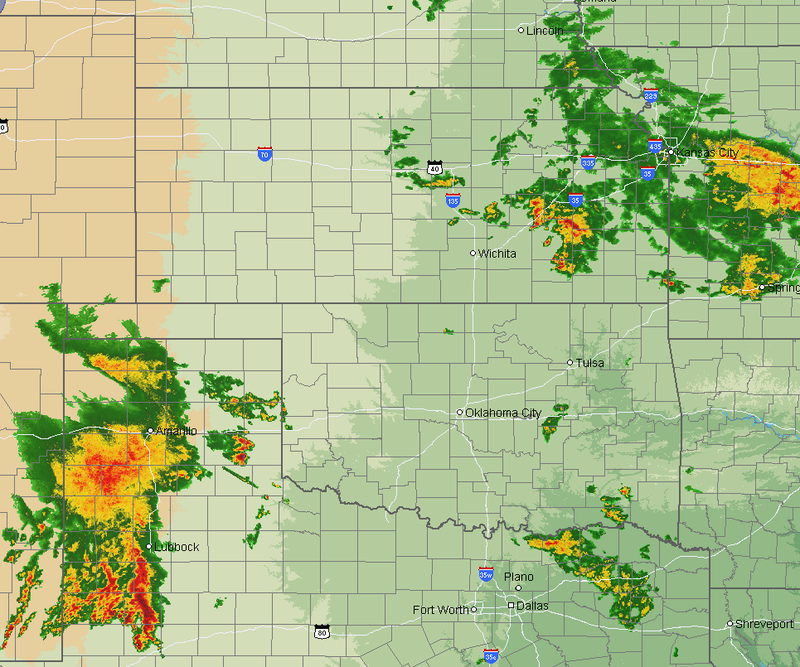 On Mother's Day, two supercell thunderstorms rolled through central Kansas. I rarely use the term awesome video but this is just that. 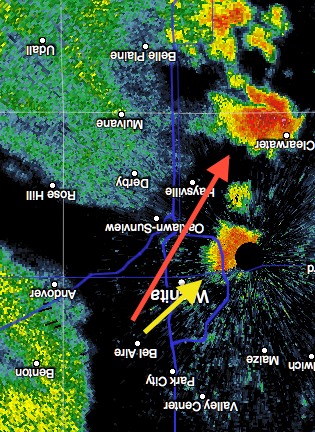 You'll see at least two funnel clouds under the base of these rotating supercell thunderstorms. Put the video on full-screen mode, turn up the music and enjoy a bit of Kansas in spring. 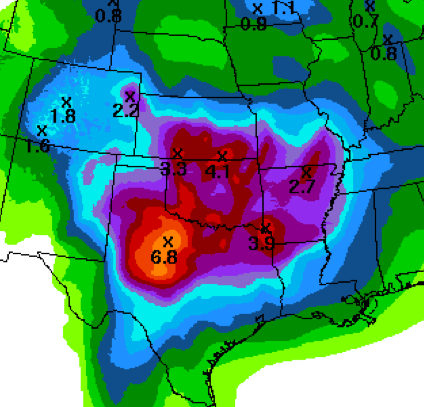 Yes, that is more than six inches of rain forecast near Archer City, Texas. Remember, this is in addition to the rains that have fallen since yesterday afternoon. 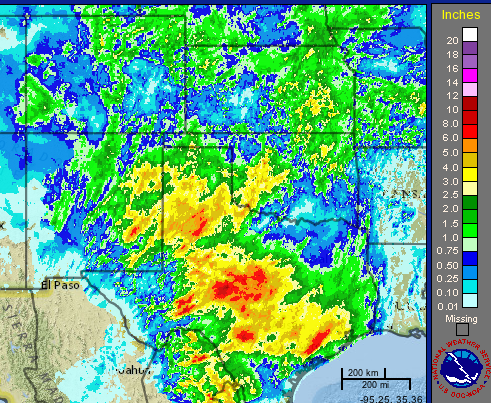 Even with these heavy rains, I do not expect any widespread flooding problems because the drought is so severe. 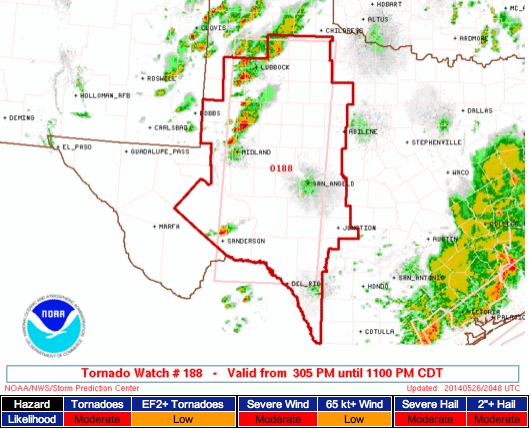 The two red polygons are tornado warnings, the rest severe thunderstorm warnings. Radar at 4:47pm. 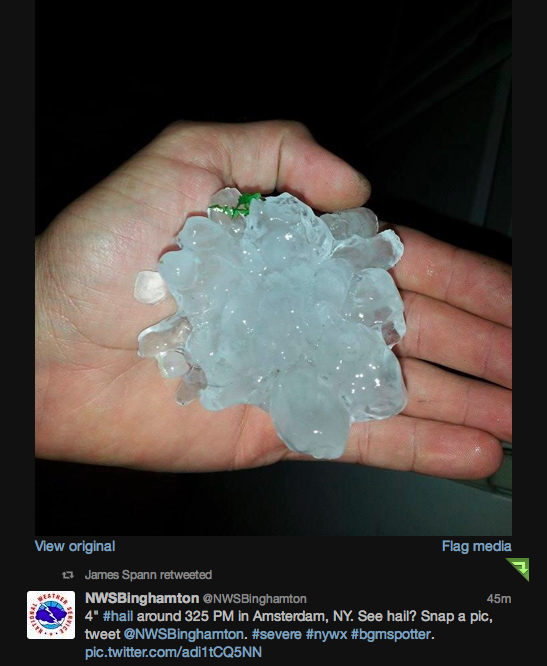 Many reports of large hail and hail damage. Meanwhile, it is gridlock at the Northeast airports along with low clouds/fog at San Francisco. The column at right is the average delay in minutes. 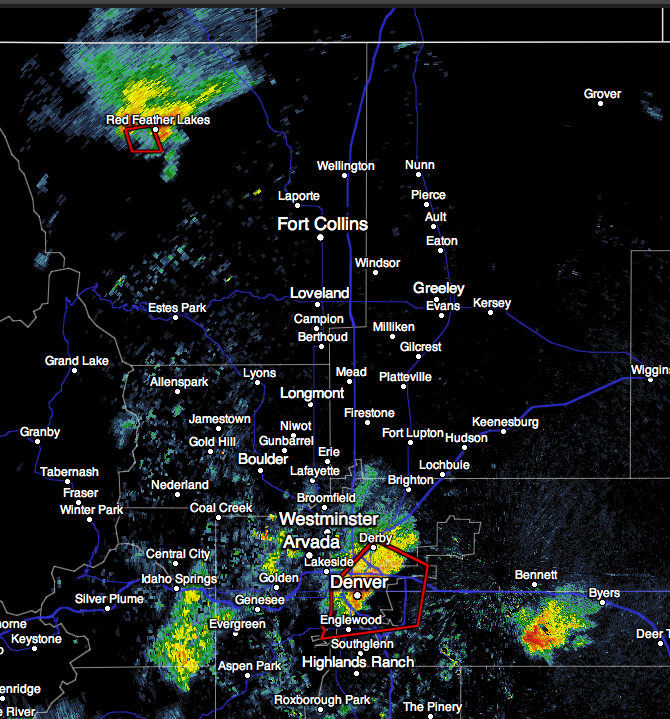 For the second day in a row Denver is under a tornado warning with a second at Red Feather Lakes (near the Wyoming border). 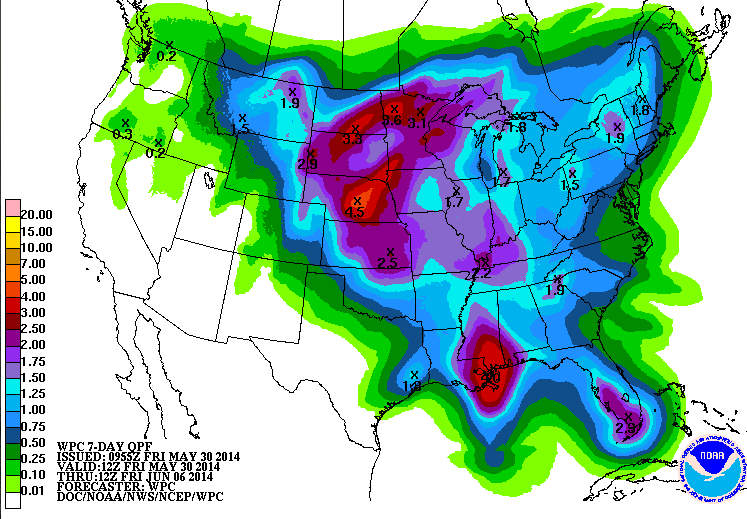 Heads Up: Denver and D.C.
How Much Rain is Needed to Break the Drought? "The Modern-Day 'Star Spangled Banner'"
Note to CBS "This Morning"
Second Rotating Storm in Central Kansas. What is a "Wedge" Tornado?